deeply shallow: Coexist: preorder is available! A note on the cover! I ordered a cover from Octagonlab (affiliate link, *hint hint*). Okay. I got the heads up on Octagonlab via Writers On Social, which was one of my attempts to be erm... social. Not sure I have been, but hey, I got a lead on a great and cheap cover site as well as a book for review (Algorithm - check it out this Wednesday) so I guess it's already paid off a little. So yes. I am releasing Coexist on March 31, 2016. 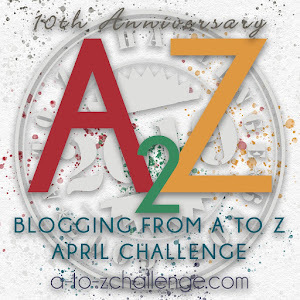 I moved the release date up by one day, not because of April's Fool, but because I want to have a dedicated post on my blog to celebrate the release and I already have a plan for the A to Z blog challenge that starts April 1 - 30. If you want to grab an ARC for review or if you're willing to host me on your blog during the tour on April 1 - 9 (or for the cover reveal on March 1), please do let me know! The sign-up post is here. You can also sign up to be on my ARC list so that you'll always be able to grab a free copy of my books for review.